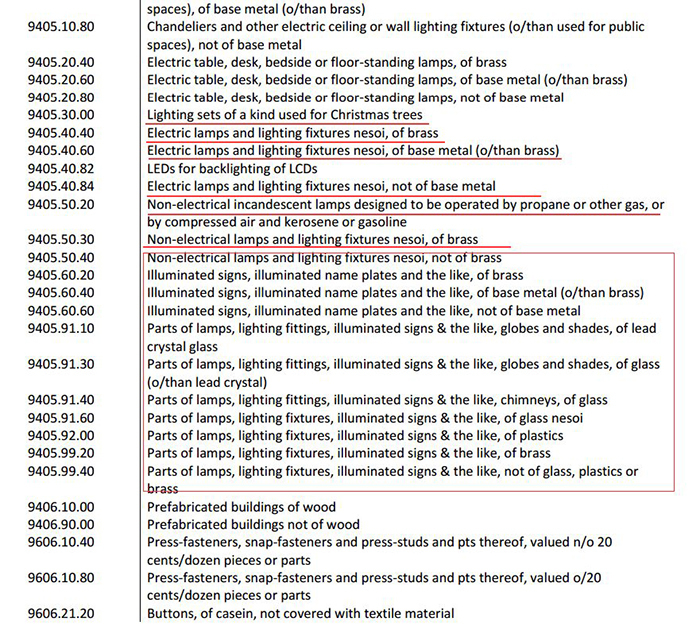 President Donald Trump last week ordered aides to move forward with tariffs on as much as $200 billion in Chinese goods, and a 10 percent duty could be imposed as soon as Monday or Tuesday, and now confirmed the tariff increases effective October 1, 2018, the list includes most of the led lighting products. The additional tariffs announced by the Trump administration will influence a wider range of LED lighting products as the tariff list included more than ten categories of LED lighting products. These products account for 75% of Chinese lighting exports and the exported goods of the listed lighting products from China to the U.S. were worth more than $5 billion in 2017. However, since the U.S. has been an important export market for China-made LED lighting products, the impacts of tariffs on lighting products will be unavoidable. Currently, more than 85% of LED lighting products are manufactured and assembled in China. Though many LED lighting companies have facilities outside of China, the capacities will not be enough for the demands in the U.S. market. Therefore, the extra cost of tariffs will probably end up in the form of higher prices for the U.S. and anticipated to hurt U.S. consumers too. What to Know About LED Parking Lot Lights? 50,000 Hours or 360,000 Hours For Led Lights?